This image is a made on a 2D plane whose upper-left coordinate is at (-2, -1) and lower-end coordinate is at (1, 1). For each point (x, y) of this plane, we consider the complex number z = x + yi, we do some operations (called iterations) repeatedly on z, and we see what is the result. 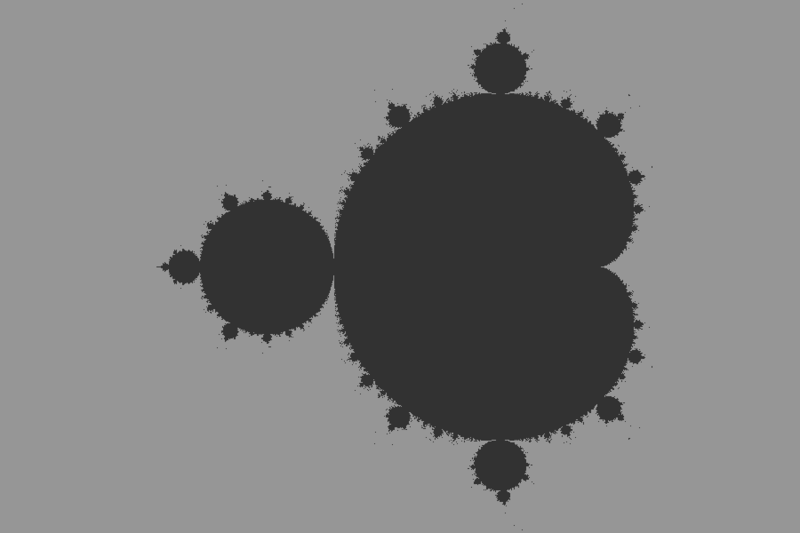 If z grows larger and larger (if the sequence of operations diverges), the point z is not in the Mandelbrot set, and we color it grey. 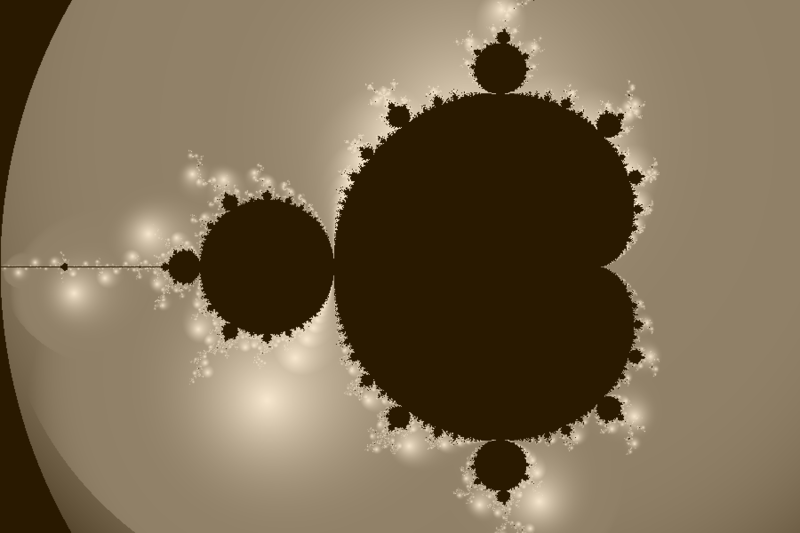 If it does not, or if we give up before seeing that it diverges, the point z in in the Mandelbrot set, and we color it black. The longer we wait before deciding that a point is in the set, the more precise the boundary is (because we have “more chances” that it diverges if it is going to diverge). And it’s technically possible to zoom as much as you want on the border of the set and to get “interesting” results at infinite amount of zoom – every little part of the border has an infinite amount of detail. 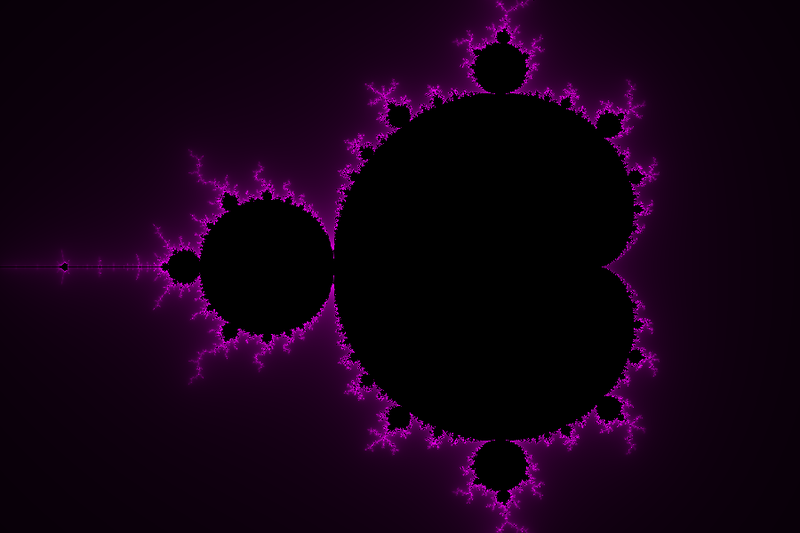 Now one of the reason why Mandelbrot (and other similar computation) renderings are quite popular is that they’re colorful and pretty. In particular, I have a fair amount of screen wallpaper coming from Blatte’s Backgrounds, that contain some of this kind of images. 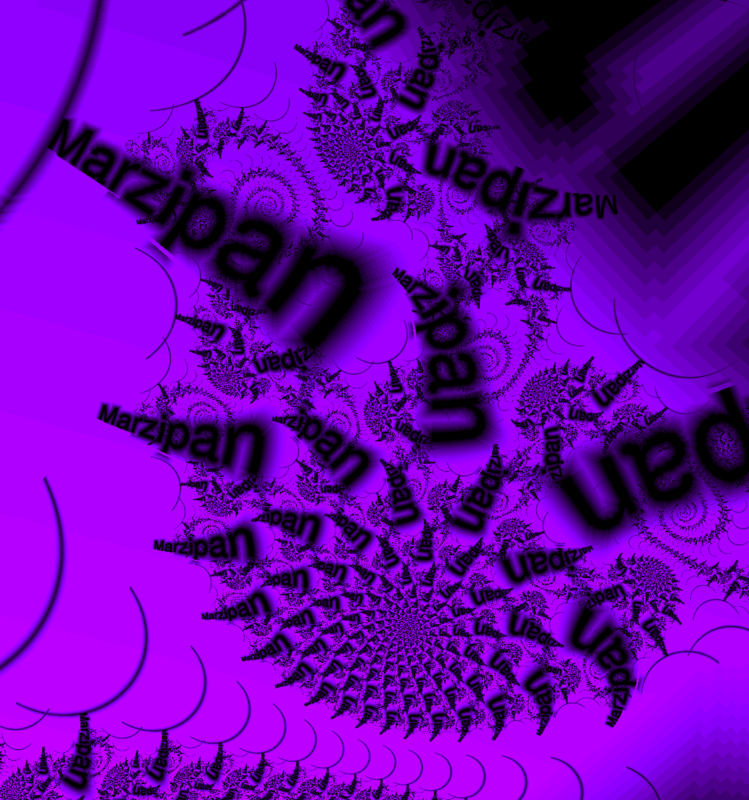 The connection between my set above and the colorful images I linked is not a priori obvious. A variation of that approach is to affect to each number of iteration a color that is “proportional” (for instance, more or less saturated) to the number of points that actually reach that number of iterations. Then the next idea is to go from “discrete coloring” to “continuous coloring” – right now, we have bands of colors that may have some aesthetic quality, but that may not work for what one has in mind in the end. To achieve that, we add a “continuous” component to our iteration computation (so that it’s not integer anymore) and we map it to the color palette. yesterday, I sped up the rendering by… well, adding threads 😛 (via the QtConcurrent library).